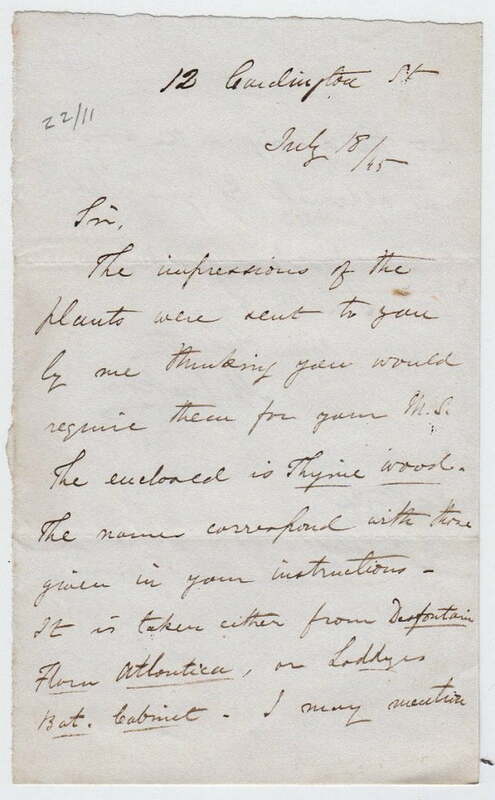 Autograph Letter Signed ‘M.Jackson’, to John Forbes Royle, about wood engravings and “the impressions of the plants” requested by Royle. 2 pp. 7 x 4 inches, in good condition. 12 Cardington Street, 18 July 1845. Mason Jackson (1819 – 1903), wood-engraver. He was trained as a wood engraver by his brother, John Jackson, the author a Treatise on Wood Engraving. By 1836 he was sufficiently advanced to take part in the engraving of Richard Seymour’s design for the green wrapper of the monthly parts of ‘Pickwick Papers. In the middle of the 19th century his prints for The Art Union gave him a considerable reputation, along with Knight’s Shakespeare and other standard books. On the death of Herbert Ingram in 1860 he was appointed art editor of the Illustrated London News, a post he held for thirty years. He wrote a history of the rise and progress of illustrated journalism.